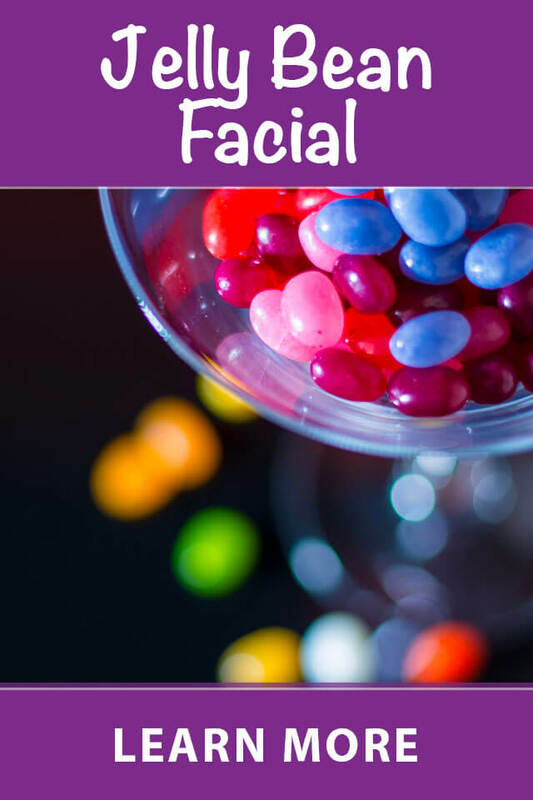 All facials are personalized depending on your skin's needs. I always start by deep cleansing the skin, followed by steam, extractions and treatment masks. 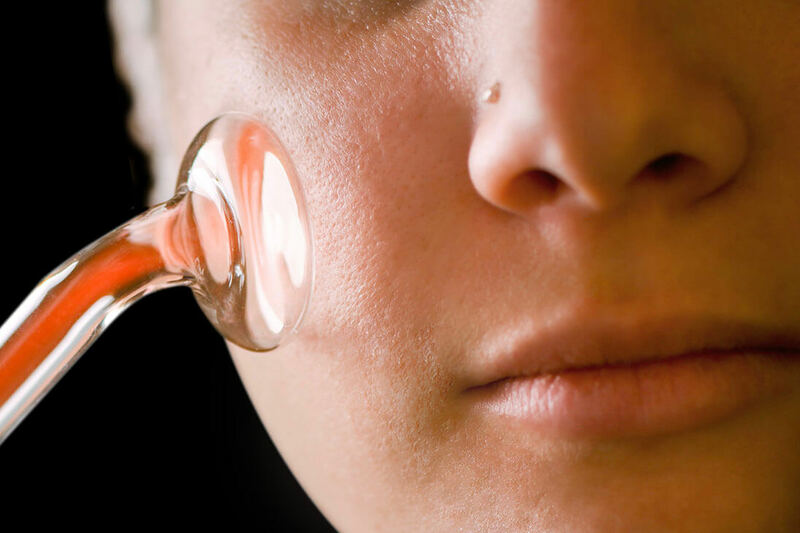 Facials are completed with a cocktail of serums to help nourish your skin. 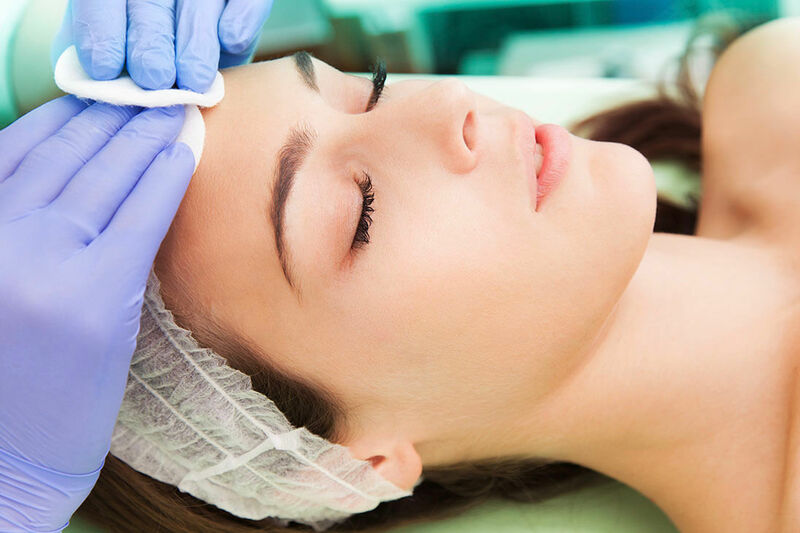 Chemical peels are a type of exfoliation that can treat and improve a number of skin issues. Chemical peels can dramatically improve: acne, acne scars, fine lines, wrinkles, irregular pigmentation or dull complexion. Microdermabrasion is a physical form of exfoliation used to buff away dead skin cells. This exposes an even complexion, allowing products to absorb completely and evenly. Waxing (or removing hair from the root) is a great semi-permanent alternative to shaving. You will be smoother longer, bringing confidence and avoiding razor burn. Your products are carefully selected to keep you comfortable, even if you've never waxed before. High frequency is used for a number of reasons. Many people need this treatment to help treat and prevent acne. It helps destroy bacteria, reduce the size of pores, minimize puffy eyes and fade dark circles. This service is surprisingly warm and relaxing. Any service you select is catered to fit your specific skin's needs. I carefully select a regimen to fit your skin type, allergies, lifestyle and schedule. Combine or modify services to fit exactly what you need. Don't delay, book some well deserved time for yourself. Ultimate Facial ($85): The name says it all. This treatment includes 80 minutes of deep cleansing, exfoliation, steam, extractions, high frequency and galvanic current. It's effective in hydrating the skin while killing bacteria that causes breakouts. Back Facial ($70): A beneficial treatment perfect all year round to help cleanse and clarify. Our backs are one of the most neglected body parts due to the fact most of us can't reach the area. This service is perfect for both men and women. It includes deep cleansing, extractions, a therapeutic mask and is concluded with a nourishing moisturizer. Enzyme Facial ($50): Refresh and awaken your skin. Fruit enzymes remove dead skin cells leaving you with a soft, smooth complexion. This 30 minutes of bliss always starts with a deep cleanse to remove impurities and debris, followed by an exfoliating enzyme mask based on your skin's needs. Your enzyme facial is finished with a moisturizer to rehydrate and revitalize your skin. Microdermabrasion ($60): This facial is great to help soften fine lines, wrinkles, age spots, light acne scars and sun damage. A diamond tip is used to remove dead skin to help reveal a youthful complexion and improve the serum's ability to penetrate easier. Double cleansing followed up with a custom mask, and serums are used along side microdermabrasion to help visibly improve your skin. Lactic Peel ($75): This peel is a fantastic mild peel. The best part is that there is no downtime. It's beneficial to those with normal to dry skin as it is hydrating. Arbutin and Kojic help to lighten irregular pigmentation and acne scars. This peel is wonderful when added to any of our facial services. Perfection Peel ($80): A perfect blend of salicylic and lactic acid. The two work harmoniously to repair moderate acne, aging and pigment concerns. Peeling and flaking may occur as this is a concentrated peel. Cranberry Detox Peel ($85): This aggressive mixture is designed for oily and acneic skin types. Resurface and refine, remove oil and debris and protect from bacterial infections with this creamy salicylic peel. Combinations are a great way to customize your treatment even further. High frequency is great when combined with facial and waxing services or maybe you're looking for a little bit more of a glow. Opt for a lactic peel boost, this requires no downtime and is a great way to reveal more smooth and youthful looking skin. To see all we have to offer, check out all our combinations. Let me give you the best treatment possible, after all this time is about you! Check out our combinations in the shop tab while booking, to get the appointment you're looking for. You’re beautiful when you feel beautiful. © Copyright Beauty2Envy. All Rights Reserved.